I love this game, and Solmare is wonderful. 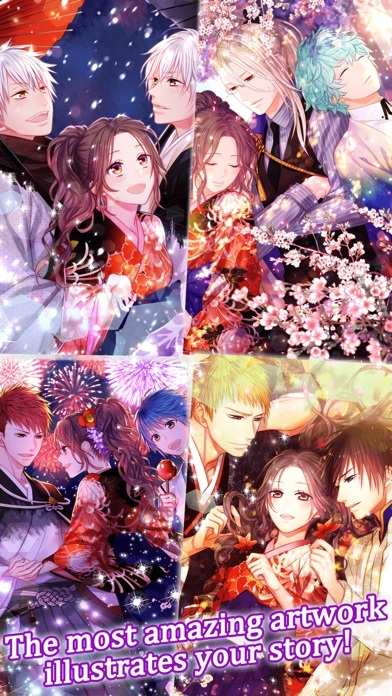 I’ve downloaded Dear Otome some time ago, and I currently only play two games daily, Love Tangle and Lost Alice. 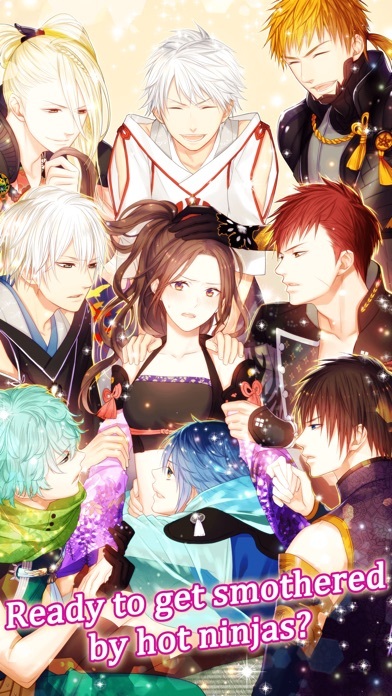 I’ve been looking for a new otome game, and found Destiny Ninja 2. It’s like all of their other games, you have to pay to get everything, but you can still play for free. I like the ticket system: instead of paying, you wait. And for the premium story, it’s not impossible to get them if you don’t pay, it’s just hard to accumulate enough D points. I love the art (downloaded this instead of the original Destiny Ninja because of the art), and the CGs are amazing. Overall, a great game, but one suggestion. Give a certain amount of coins when someone first starts playing, and then give them some more coins at the end of each chapter. It doesn’t have to be outrageous amounts, just enough that when you save it, you can pay for a premium story here and there. 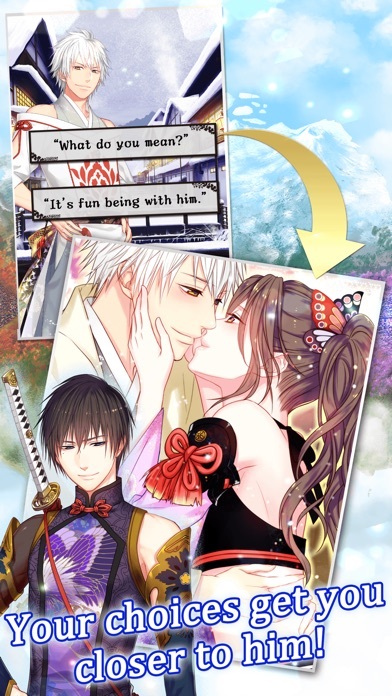 Destiny Ninja 2 was the first anime dating simulator I have ever played and I started with Shiroya’s route, and I absolutely fell in love with this game. I first downloaded this when I was like 12 and I played it on and off, sometimes deleting the game and redownloading it, but I came back to it towards the beginning of the year, when I turned 14 and I saw that it became discontinued. I have absolutely no problems with this game. I love the characters, I’m patient enough with the ticket system, I enjoy the skill bouts and slots, but I miss the events. I miss seeing new characters. I remember when I first came on this game, I swear, I didn’t know they were going to make a season 2, and I love those characters. And also having characters like Akira, who aren’t 100% sure about their gender. I like what you’re also doing now, like adding female characters so the players have more choices according to their sexuality. And believe me, I love MOE! Ninja Girls, but it’s nice having a female MC fall for a female dateable character. So, me being Bi, I really enjoy this new take. I absolutely love this game, so please update it! Don’t let it crumble and be forgotten like Oz, Niflheim, and more. I really love these games, and so do so many others. I’m going to write a review on all of your discontinued games, so please, NTT Solmare, listen to your loving players’ pleads. We love your new stuff, like Wizardess Heart and Lost Alice, but please come back to these games that we know and love and help us keep them alive because they all hold a special place in our hearts. I really enjoy this game and I‘ve been playing it for about 2 years I would say. The only concern I have with this, is there ever going to be another update or is this it? I‘m also playing Wizardess Heart and there‘s always new events happening in that one but Destiny Ninja 2 has been dead for almost a year now regarding in-game events. I like the art, though the protagonists body proportions and design are killing me. I wish you did it in first person, mostly because I want to imagine my character differently. Anyway, I have done a few games like these and all of them have the same problem. Way too much pay to win. This one sort of resolves it, but for me I can’t get the points you convert to coins. Like, I complete the task but it says I didn’t do it! Otherwise I like it. It’s cleaner than most games I’ve played like it, and that’s important to me. 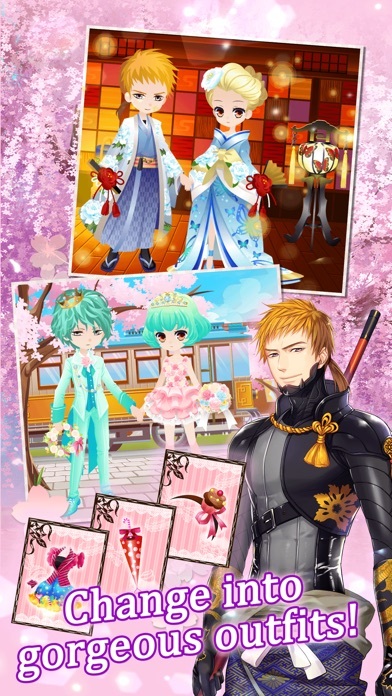 Destiny Ninja 2 is the best game in the world because you can date anyone you want in the story. You get to end up choosing the one who you will date in the beginning, when you are choosing the person who will be your partner in the mission.It also is anime, and you don’t usually find this well drawn stuff in games anymore. As shown, this game is the best! This is easily one of my favorite dating sims, and the only reason I haven’t given it 5 stars is because it feels very much... abandoned at this point. Compared to some of the other Shall We Date games, this one doesn’t really have any events going on anymore. It’s a bit disappointing!